Keep your business in the public's view with these sleek and stylish gooseneck lights. They have the same classic look you love about this well known lighting fixture, but with modern updates that make it ideally suited for a range of applications. Both at home and at your place of business, you'll find that there are innumerable ways to make these lights work for you. Place them along walls on the porch and patio, inside retail spaces, or use them to set the mood in an upscale eatery. They're also ideal for sign lights, since they offer a unique downward facing trajectory combined with a targeted stream of light that draws the eye toward exactly what you want customers to notice. We take pride in crafted fine lighting fixtures that will stand the test of time. These are prime examples, as they're constructed of aluminum and then powder coated to hold up against wear and tear, even in the areas with inclement weather conditions. Powder coating allows the color to be baked into the metal, offering a far better level of weather resistance than painting alone would provide. This allows them to hold against against rusting, corrosion, and even fading when placed in direct sunlight. 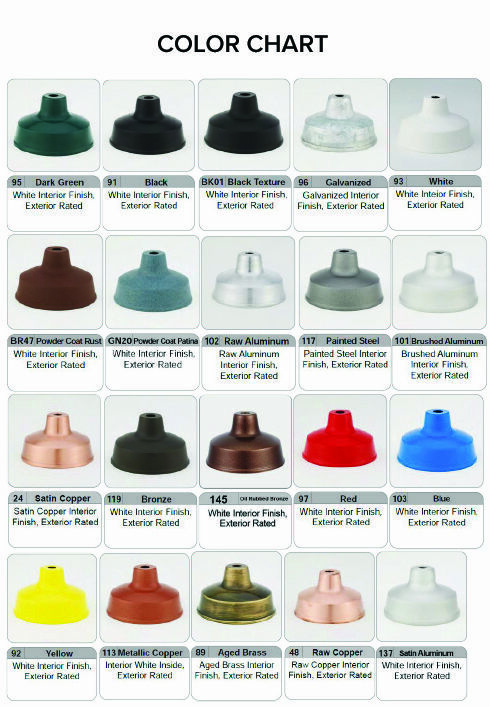 Choose from a range of color options, shades, arm configurations, and accessories to customize our fixture to accommodate your sign or wall perfectly. There's an unlimited number of combinations from which to choose, but if you don't see exactly what you want on the drop down menu, then give us a call and we'll help you design the precise arrangement you need.